Git was developed by Linus Torvalds in 2005 as a distributed open source software version control software and of course, it is free to use. As a distributed revision control system it is aimed at speed, data integrity, and support for distributed, non-linear workflows. While other version control systems e.g. CVS, SVN keeps most of their data like commit logs on the central server, every git repository on every computer is a full-fledged repository with complete history and full version tracking abilities, independent of network access or a central server. However, almost all IDEs support git out of the box and we do not require to submit the git commands manually but it is always good to understand these commands. 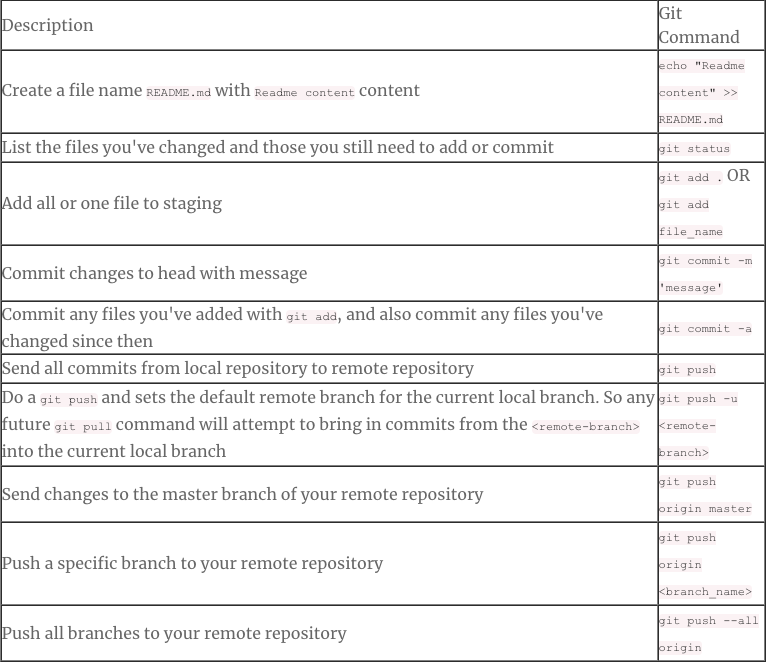 Below is a list of some git commands to work efficiently with Git. We can use git help <command> or git help <concept> command to know more about a specific command or concept.